Asheville, NC (February 1, 2018) – Ronald A. Paulus, MD, President and CEO of Mission Health, has been named one of North Carolina’s “Power 100” by Business North Carolina magazine. The publication’s editorial staff and publisher chose 100 distinctive leaders from across the state who guide their respective institutions to excellence through the employment of innovative thought, progressive initiatives, and energetic partnerships. In addition to a variety of business CEOs, the list includes leaders involved in finance, health care, non-profits, professional services, real estate and transportation who are driving much of the change in North Carolina and significantly and positively impacting North Carolina’s economy. Dr. Paulus has led Mission Health with passion and vision for the last 7 ½ years, during a time when the healthcare industry has been undergoing more change than at any time in recent history, including sweeping changes in reimbursement, regulatory requirements, insurance reimbursement, and the many trials that are unique to rural healthcare. At the same time, he has shepherded Mission Health through a period of significant growth – more than doubling the size and profitability of Mission Health since his arrival – and expanded its reach through critical investments and strategic acquisitions that enable Mission Health to provide world-class healthcare in one of the poorest and sickest regions of North Carolina. During Dr. Paulus’ tenure, Mission Health has been named a Top 15 Health System by Truven Health Analytics multiple times – including five of the last six years, which reflects Mission Health’s national recognition for its high quality, safe, effective and low-cost care. In addition, Mission Health facilities comprise thirty percent of all Center for Medicare and Medicaid Services 5-Star hospitals in all of North Carolina. Dr. Paulus is no stranger to leadership recognition, having been named one of the nation’s 50 Most Influential Physician Executives by Modern Healthcare several times, including ranking 13 of 50 in 2017. Dr. Paulus has also been proactive in ensuring that Mission Health is a positive presence in the community by collaborating with numerous local entities to provide better behavioral health care services, address the opioid crisis that severely affects the region, and usher in innovative patient care models – from virtual care to partnering with community organizations and law enforcement to tackle social problems that affect health, such as domestic violence and poverty. “Dr. Paulus’ extraordinary leadership and his ability to make every hospital within the Mission Health system state-of-the-art while increasing employee engagement, addressing national health crises, and managing a rapidly changing healthcare landscape qualify him as an unusually effective executive, armed with multiple and varied areas of expertise,” said John R. Ball, MD, JD, Chair of Mission Health’s Board of Directors. “Dr. Paulus is uniquely focused on the needs of patients, physicians and staff, and he keeps a constant eye to the future which helps keep western North Carolina at the forefront of medicine,” added Dr. Ball. Prior to his time at Mission Health, Dr. Paulus served as Executive Vice-President of Clinical Operations and Chief Innovation Officer at Geisinger Health System in Danville, Pennsylvania and as Co-founder, President, and later CEO of CareScience, Inc., a division of Premier Healthcare Informatics, a prominent provider of data analytics to health systems. 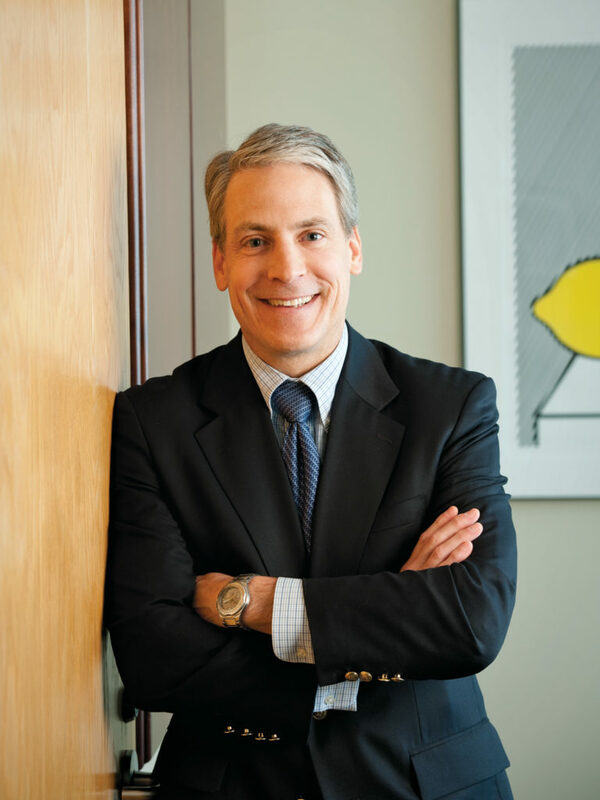 His special interests, which include innovation and physician leadership, make him a sought-after speaker and frequently published author of peer-reviewed articles.